The last weekend of February every year sees Doolin remember its greatest music ambassadors the Russell brothers; Micho, Packie & Gussie. What a way to kick off our season with the brightest musicians descending on Doolin from the four corners of the world to attend workshops and perform in all the pubs and Russell Cultural Centre. 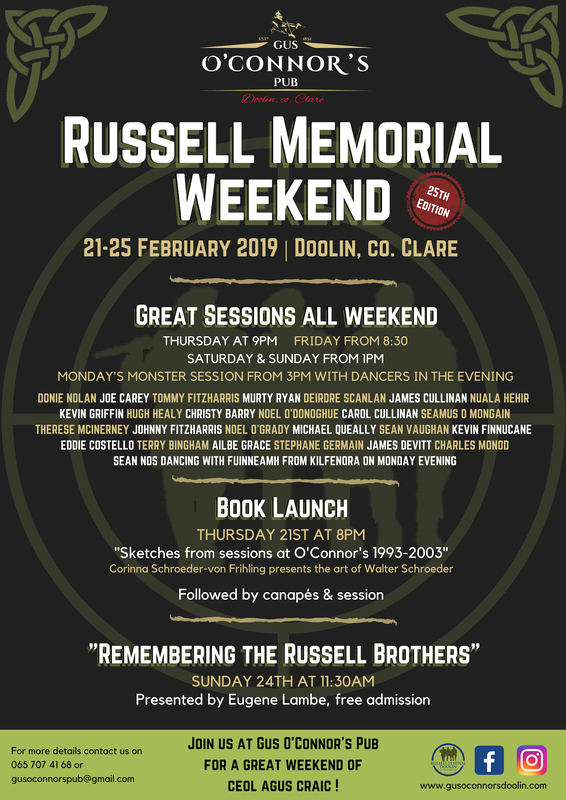 The next Russell Memorial Weekend takes place on 21st – 25th February 2019. This weekend is jam-packed full of musical events – the headliners announced for 2019 include Máirtín O’Connor, Donal Lundy and Zoe Conway. 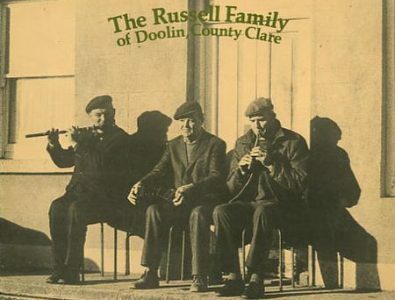 The highlight of the festival is the Russell Concert which takes place on Saturday 23rd February 2019 at 3pm in the Russell Cultural Centre.